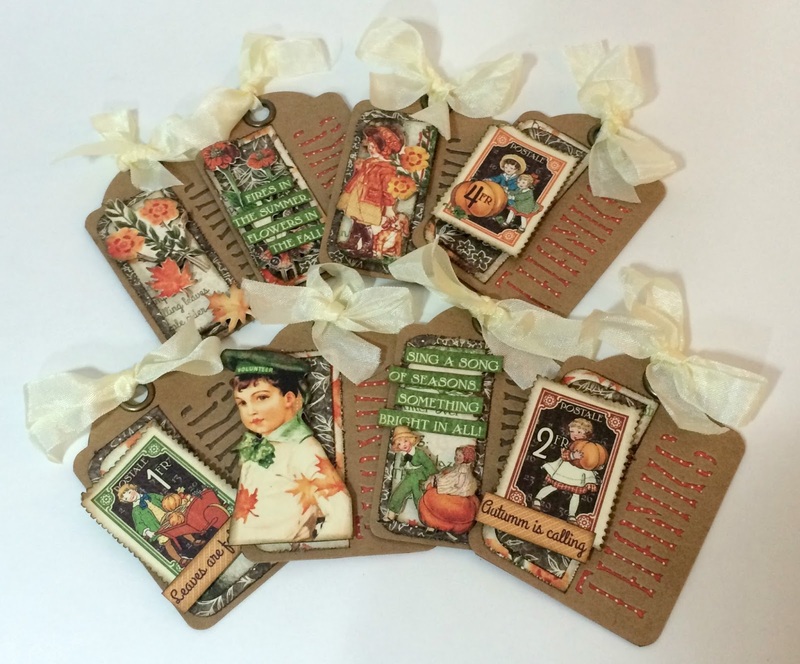 I'm back on the Southern Ridge Trading blog today to share with you some more inspiration for our current monthly challenge which is "Fall". There is only 4 days left to play along. 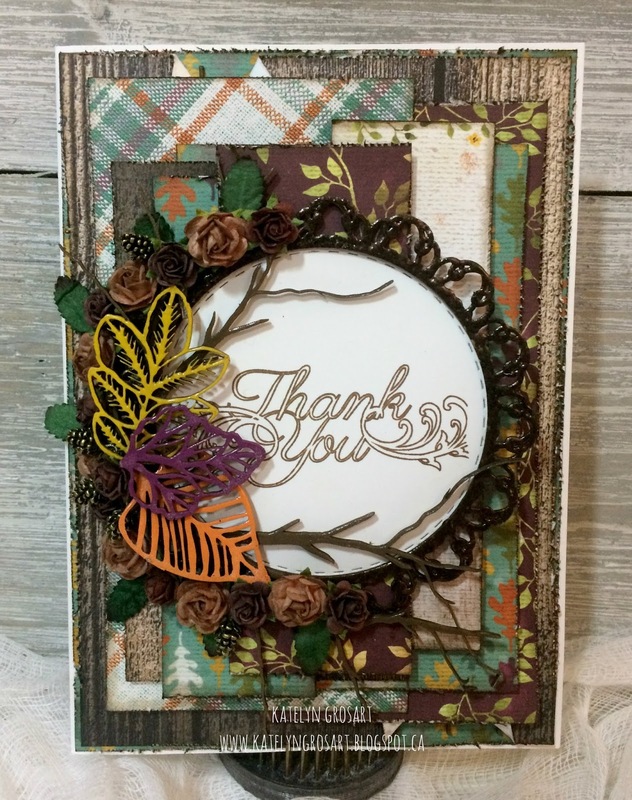 With the challenge in mind I created a Fall Thank You card that's sure to inspire you. 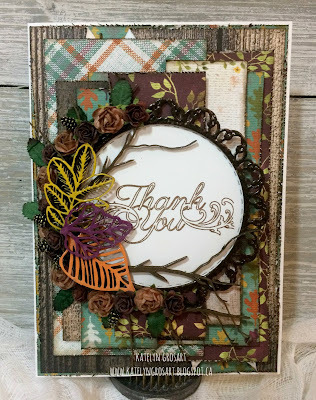 You'll want to head over to the Southern Ridge Trading Company Blog so that you can check out all the details on how I created my Fall Thank You card. While you're there, make sure to participate in our monthly challenge. You can find all of the details here on how to enter. We're Falling into Celebration on the Emerald Creek Dares blog as we celebrate Canadian Thanksgiving, Diwali and Halloween. To end our "Falling into Celebration" month challenge, the design team has created some fabulous projects using a Halloween theme. 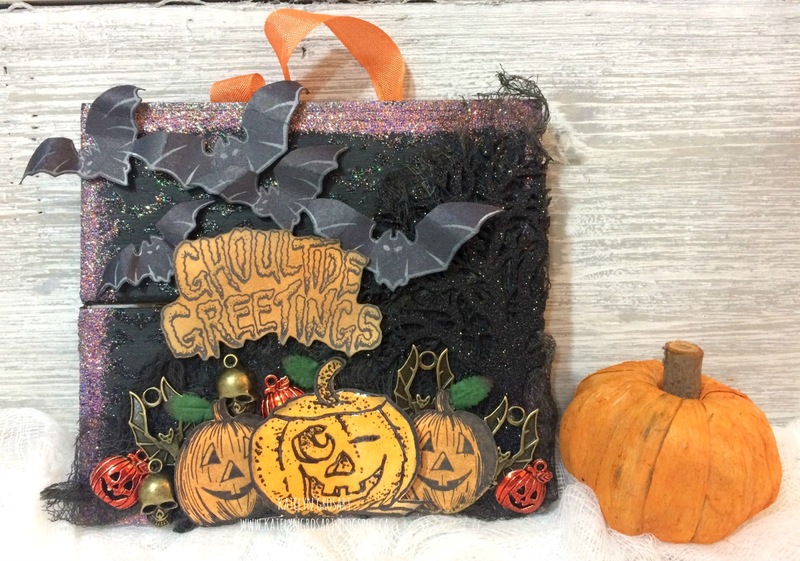 Halloween is only 4 days away so for my project I decided that I would create a fun Halloween card featuring some of the fabulous Halloween stamps and a variety of embossing powder. Let's get started so that I can share with you how to create your own Halloween card. To start, you'll need to cut a piece of Black Core'dinations paper to 3 3/4" x 5 1/4". With the core'dinations cut, place the paper in the Batground embossing folder and run through your die cutting machine. Once the core'dinations is embossed, apply embossing ink over the entire surface. With the ink on the embossed surface, cover the entire surface with Onyx Frost Embossing Powder. Tap off excess powder and emboss with a heat tool. 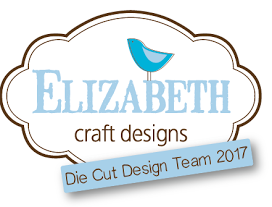 While your die cutting machine is still out, cut a Stitched Oval from Sizzix out of 100lb white cardstock. Once the oval is cut out, cut away the stitched part of the oval. With the stitched part gone, blend Spiced Marmalade, Carved Pumpkin and Black Soot Distress Ink on the oval. Once your happy with the coloured oval, apply Jet Black Archival Ink to the Ghoultide Greetings stamp and stamp in the middle of the oval. Dry the sentiment and oval with a heat tool. Run Distress Embossing Ink around the edge of the stitched oval. 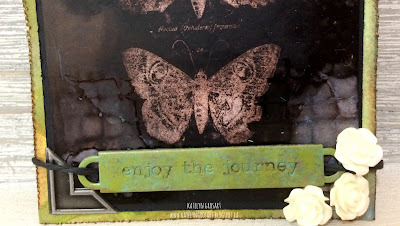 Once the edges are inked, sprinkle Tangerine Sparkle Orange Embossing Powder around the edges. Tap off excess and emboss with a heat tool. Once the edges have been embossed, ink the edges of the oval with Black Soot Distress Ink. Next apply Jet Black Archival Ink to the Jackie Lantern stamp and stamp onto a piece of 100lb White cardstock. 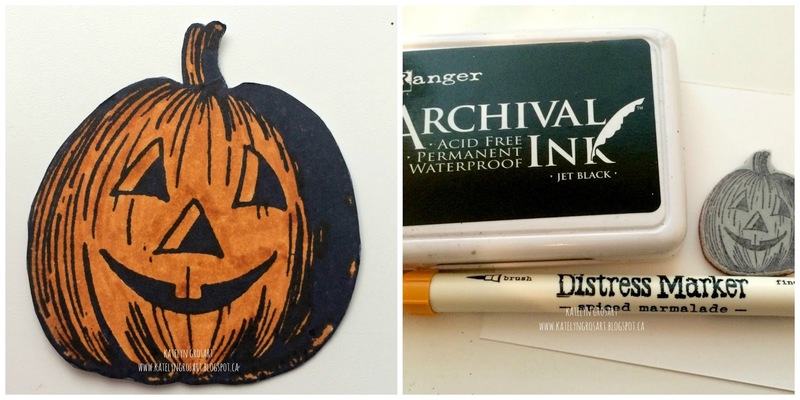 Take your heat tool and dry the stamped pumpkin image. Once the image has dried, colour the pumpkin with a Spiced Marmalade Distress Marker. Once the pumpkin is coloured, fussy cut the pumpkin out. With a blending tool, ink the edges of the pumpkins with Black Soot Distress Ink. Apply Jet Black Archival Ink to the Batrick stamp and stamp onto a piece of 100lb white cardstock. Continue apply jet black archival ink to the batrick stamp until you have a total of three batrick bat's stamped. Take your heat tool and dry the bats. Once the bats have dried, colour the bats with a Black Soot Distress Marker. After the bats have been coloured, fussy cut the bats out. 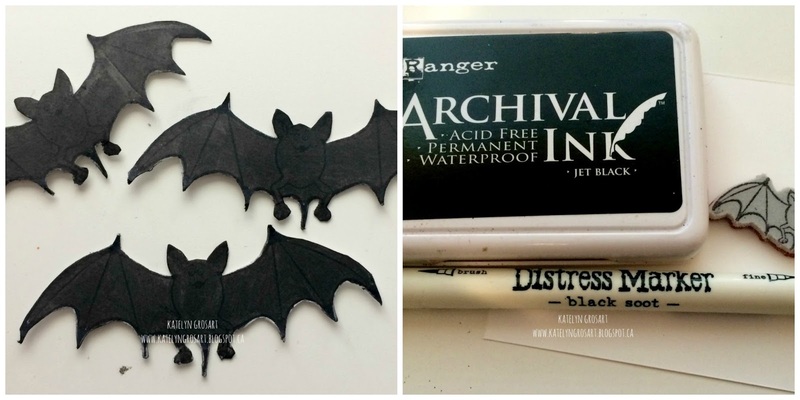 With a blending tool, ink the edges of the bats with Black Soot Distress Ink. 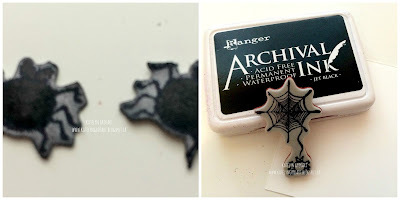 Using a scrap piece of black core'diantions paper, apply distress embossing ink to the cobweb pf the Webster stamp and stamp onto the scrap piece of black core'dinations. 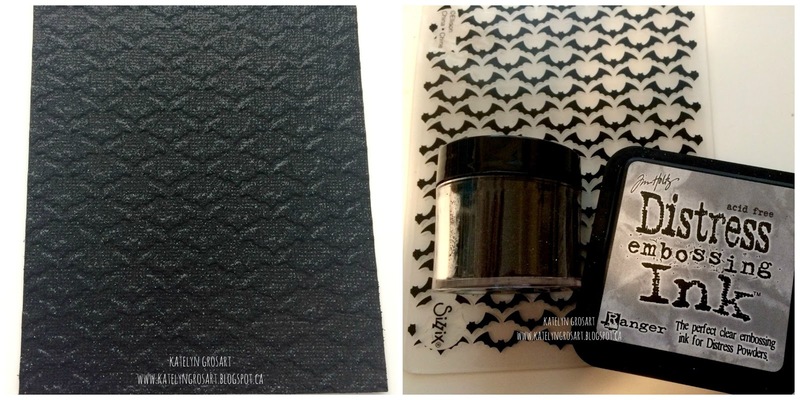 Reapply the distress ink to the cobweb and stamp onto the black core'dinations cardstock. 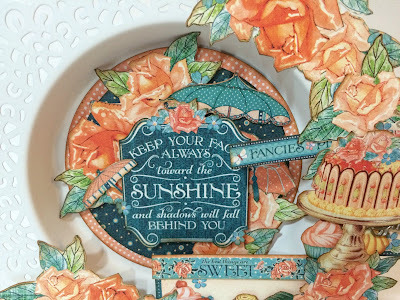 Sprinkle Fine Clear Gloss Embossing Powder over the cobwebs and tap off the excess. Emboss the cobwebs with your heat tool. Fussy cut the cobwebs out. Apply Jet Black Archival ink to the spider of the Webster stamp and stamp onto a piece of 100lb white cardstock. Continue to reapply the jet black archival ink to the spider and stamp onto the same piece of white cardstock. Dry the spiders with a heat tool and colour them using a Black Soot Distress Marker. Once the spiders are dry, fussy cut each spider out. To finish the spider, with a blending tool ink the edges of the spiders using Black Soot Distress Ink. 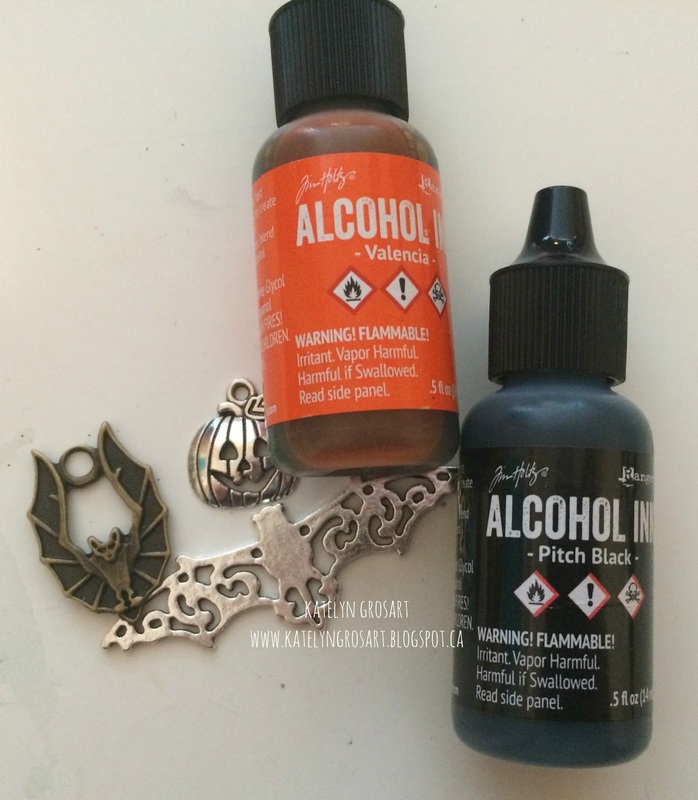 Before apply Alcohol ink to the Bat charm, cut off the eyelet. Apply Pitch Black Alcohol ink to the Steampunk Bat and Bat, set the bats aside. Cut off the eyelets on two of the pumpkin charms. Apply Valencia Alcohol ink to the pumpkins and set them aside. Start adhering the elements to the card front. 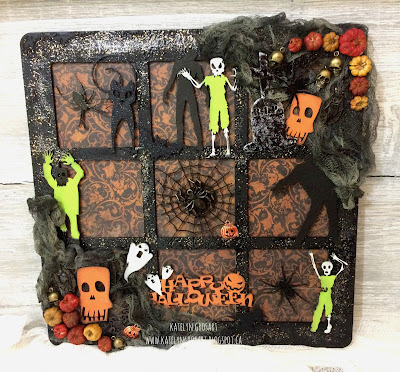 In the bottom right hand corner of the oval, I layered in the embossed cobwebs, two pumpkin charms, the bat charm, the steampunk bat charms and the Jackie lantern pumpkin. To finish the oval, add the spiders crawling up to the greeting. To finish the top left hand corner of the card, foam square three bats in the corner. 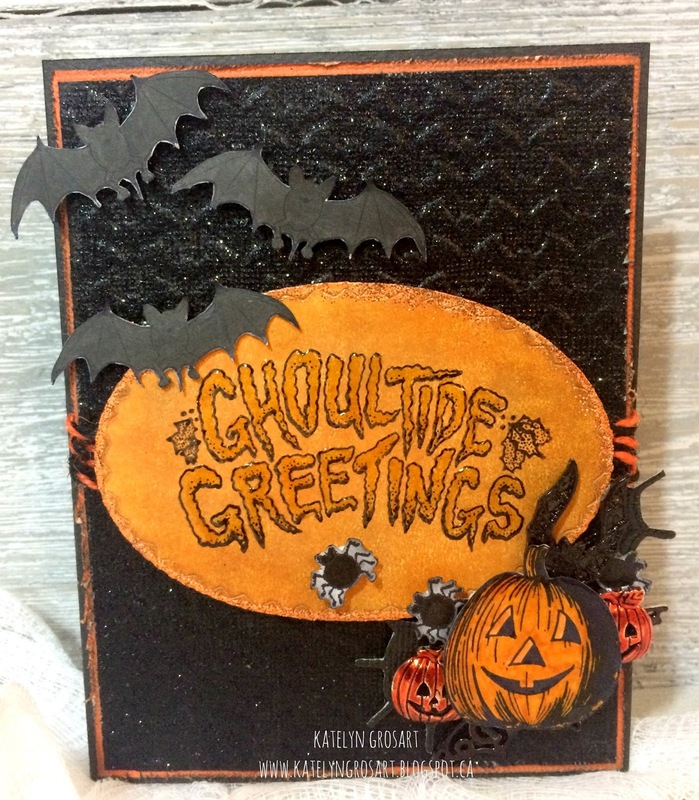 Once the bats have been added, add Glossy Accents to the Ghoultide Greetings sentiment and the pumpkin. 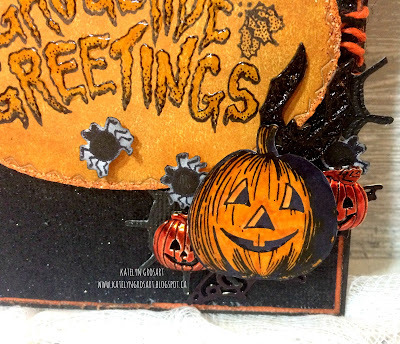 Lay the card down to allow the Glossy Accents on the pumpkin and sentiment to dry. 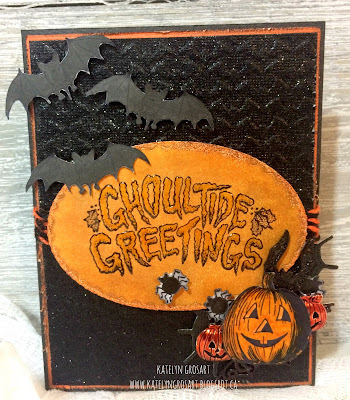 Thanks for stopping by and checking out my Halloween Card. Don't forget you only have 4 days left to enter your project into our Emerald Creek Dares Challenge for your chance to win a $50.00 gift certificate for the Emerald Creek Store! 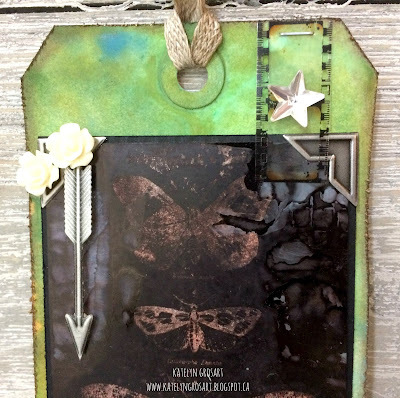 Today on the Graphic 45 blog, we kick off a blog hop with Scrapbook Adhesives by 3L. I created a home decor piece featuring Graphic 45's Cafe Parisian collection along with a variety of fabulous adhesives from Scrapbook Adhesives by 3L. 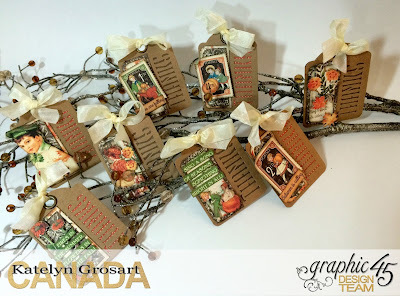 You'll want to head over to the Graphic 45 blog to check out the rest of the photos of my project as well as fellow design team members Elena and Sandy who have also created fabulous projects for you. 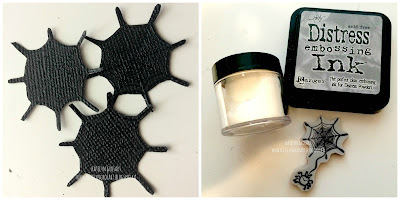 Once your finished checking out our projects, you'll want to pop over to the Scrapbook Adhesives by 3L blog to see what their design team has created. Using a candleholder from Ikea, I decorated the inside and outside using the newly released Café Parisian collection. To add some extra interest within the paper, I added in some shabby chic metal keys. To adhere my paper and keys to my candleholder, I used some fabulous products from Scrapbook Adhesives. You’ll want to get your hands on Café Parisian as well head over to Scrapbook Adhesives to check out their extensive line of fabulous adhesive products. Scrapbook Adhesives by 3L has a large range of fantastic adhesives that they offer. For my project, I used their EZ Runner Micro, Crafty Foam Tape, Thin 3D Foam Squares and Dodz (8mm). 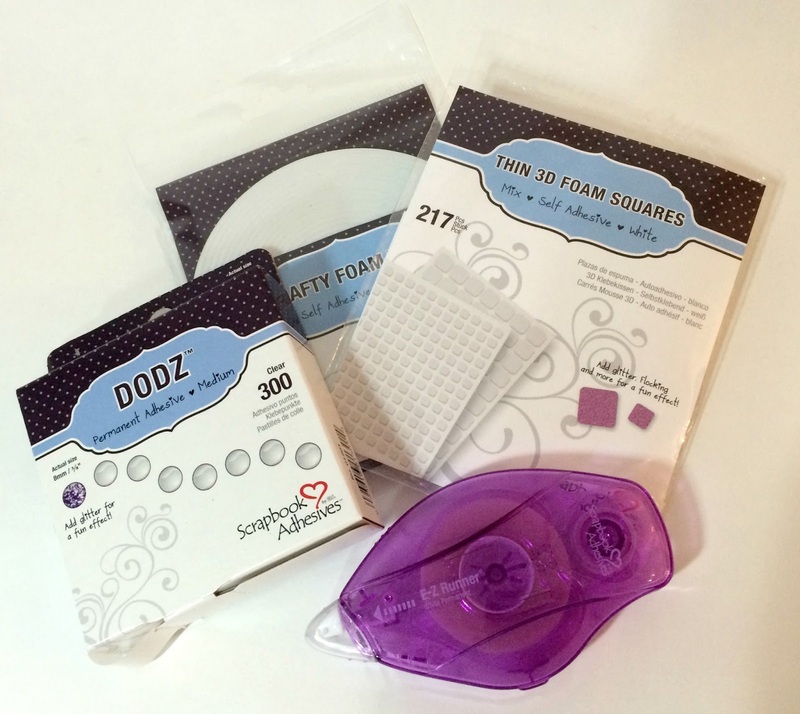 Tip: By adhering some of the layered elements with Crafty Foam Tape and other elements using the thin foam squares, it creates even more dimension on your piece. To see more pictures of my Cafe Parisian Home Decor piece, you'll want to head over to the Graphic 45 blog. 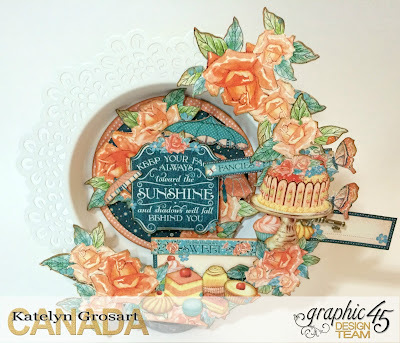 Thanks for stopping by and make sure to head over to the Graphic 45 blog to check out the rest of the photos of my project as well as Elena and Sandy's fabulous projects! You'll want to check out the Graphic 45 blog all week to see more fabulous projects from the design team using Scrapbook Adhesives Products. While your there, you'll also see sneak peeks of the new Nature Sketchbook collection as well as the re-release of Place in Time which will be available as in a Deluxe Collectors Edition. 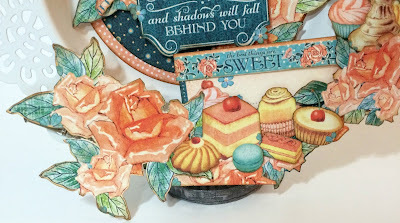 I hope that you are having a fabulous weekend, I just wanted to stop in to share with you a sneak peek of my Cafe Parisian project for Graphic 45's and Scrapbook Adhesives by 3L Blog Hop. 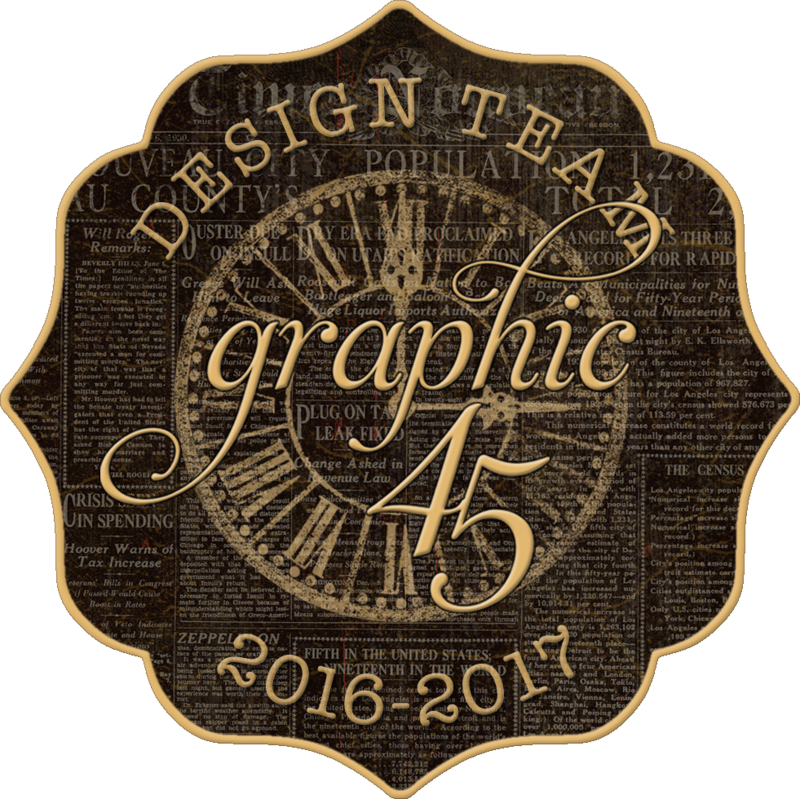 You'll want to mark your calendars for tomorrow, Monday, October.24th as I will be up on the Graphic 45 Blog starting off the blog hop. On the same day I get to share the blog with Elena and Sandy who have also created fantastic project to share with you. 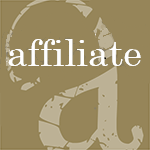 I hope that you'll take the time to stop by the Graphic 45 blog and check out all of our projects. I will also be sharing on Monday with you some photos of my project on my blog. For my #Simply G45 project, I was challenged to create a project using the "Thanks" ATC Tags from the Staples line. With the "Thanks" tags in hand, I set out and created a fabulous set of "Thankful For" tags, which can be passed out at Thanksgiving dinner and have everyone write down something they are thankful for or double as place cards on your Thanksgiving table. Tip: To get the most use out of your patterned paper, fussy cut out some of the images from the leftover November Montage paper. Check out How to Create Thankful Tags Using G45's Thanks ATC Tags by Katelyn Grosart on Snapguide. I'm on the Creative Scrapbooker Blog today as a guest blogger sharing my Ghoultide Greetings Mixed Media Wall Hanging featuring Emerald Creek Craft Supplies and Ranger Ink products. 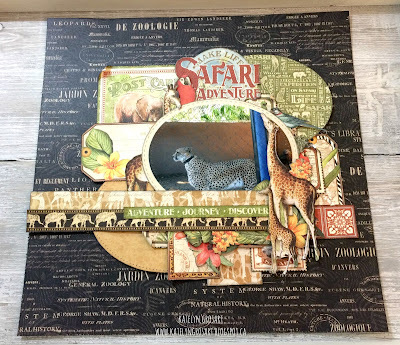 Head over to the Creative Scrapbooker Blog to read about how I created my reverse canvas, so that you can recreate it at home. I'm on the Southern Ridge Trading blog today to share with you some inspiration for our current monthly challenge which is "Fall". With the challenge in mind I created a Halloween Tray that's sure to inspire you. 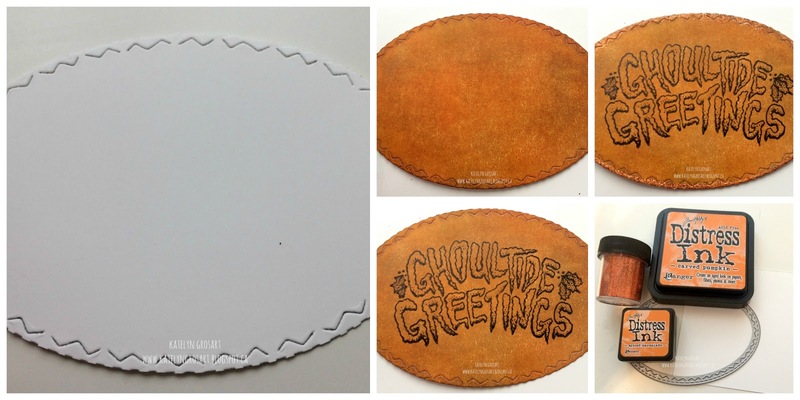 You'll want to head over to the Southern Ridge Trading Company Blog so that you can check out all the details on how I created my Halloween Tray. While you're there, make sure to participate in our monthly challenge. You can find all of the details here on how to enter. Over the long weekend, I took the time to just play. Playing for me doesn't happen very often, but I needed to get my creative juices flowing again. 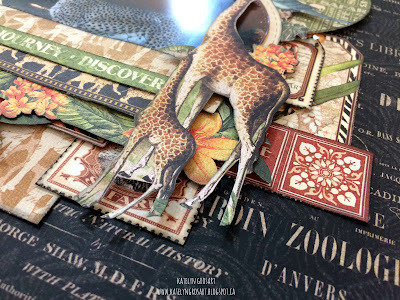 On this rare case of playing, I wanted to test out my new set of Stitched Oval dies from Elizabeth Craft Designs as well as do something with Graphic 45's "Safari Adventure" paper. 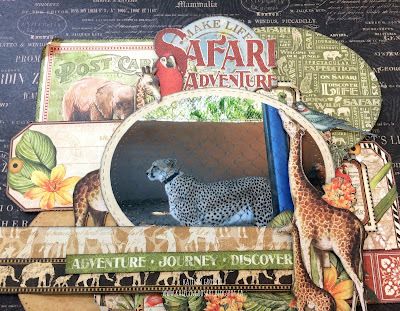 So a few hours later, I managed to create a fabulous layout blending the stitched oval dies, Graphic 45's "Safari Adventure" and of course some fussy cutting. Read below as I share with you my layout. 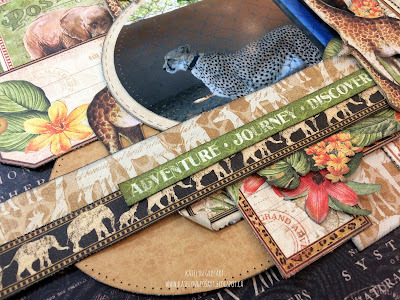 The starting point on my layout was figuring out how many ovals I wanted to use and then deciding on the prints of paper from the 12x12 Patterns and Solids that match Safari Adventure. For cutting the ovals, I used the largest oval for the centre oval and then for the picture and the other two ovals I used the second largest oval die. The fabulous thing about these dies, is they nest fantastic together as well as the ovals switch from a stitched effect to a dot effect around the outside. You'll notice that I added a lot of fussy cut images to my layout. All of the images were cut out of Safari Adventure and Amazing Africa. Here's a close up of the smaller stitched oval in the bottom right hand corner, which matches the oval in the top right hand corner, along with some more fussy cut images to add extra interest in the bottom corner. When I create my layouts, I tend to add lots of elements on top of one another to give extra dimension. Thanks for stopping by and taking a look at my layout. 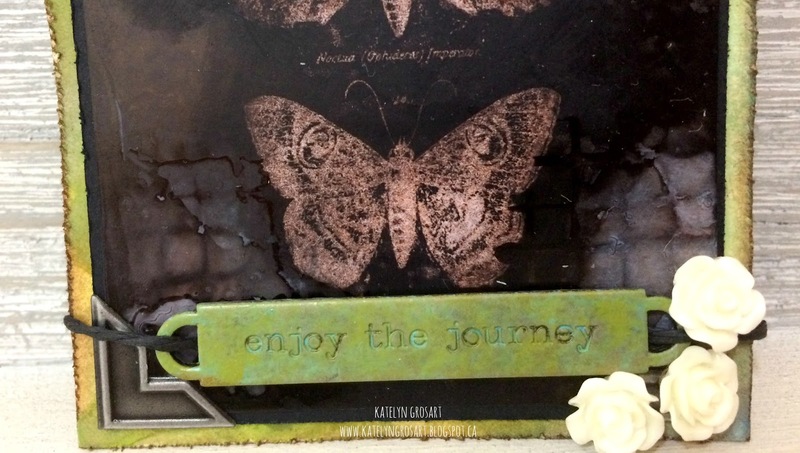 I hope that I've inspired you to start using your dies on your scrapbook layouts. 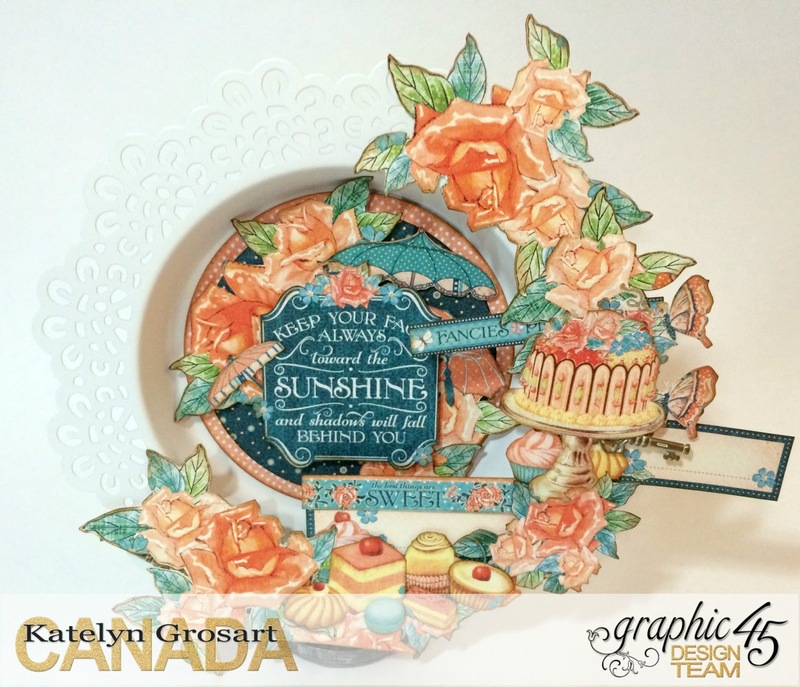 September was an absolutely crazy month for me with helping out at the Great Canadian Carnival in both Edmonton and Calgary, put on by Creative Scrapbooker, with Emerald Creek Craft Supplies, Southern Ridge Trading Company & Canuck Crafts. 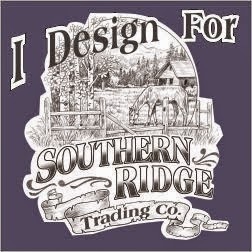 To finish off the month of September helping out in booths I went with Emerald Creek Craft Supplies & Southern Ridge Trading Company , as well as Creative Scrapbooker was there, to Olds for the ArtWaves West show. Having all of this on my plate, made it impossible for me to get my September Tim Tag done on time. Now that the craziness has settled down a bit, I managed to get my September Tag done over the long weekend. September's tag features the Paint Patina and Alcohol Ink Resist Techniques. I have to say that this month's tag challenged me a bit and I will share with you why further down in the post. For the alcohol resist technique, it took me five tries until I was finally happy with the end result. I love the result that this technique creates, but you definitely need to have patience. 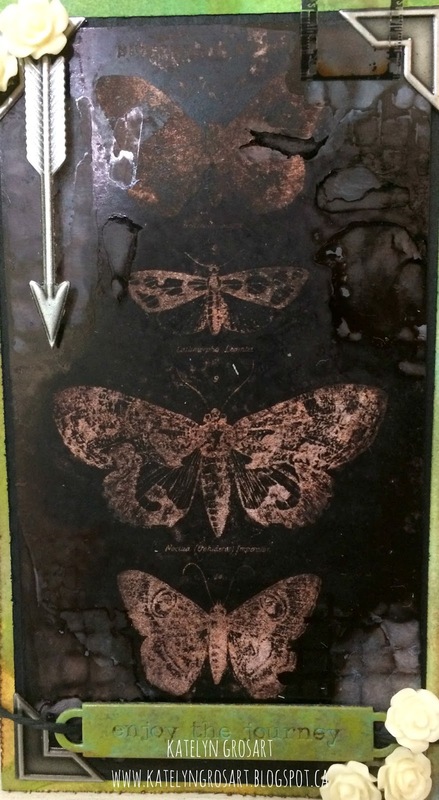 The butterfly images is from the papillon stamp set. For the alcohol inks, I used Pitch Black and Mushroom and the ink I used on the stamp was Archival Jet Black and Potting Soil. To add some extra interest to the middle of the tag, I matted the yupo paper onto a piece of black cardstock. Once the black cardstock was adhered to the base tag, I added the metal looking photo corners to each corner. To decorate the bottom of the tag, I did the same patina effect on the word band as on the base of the tag. To adhere the word band, I used a couple of glue dots on the back as well as ran black string through either side. To finish the word band, I adhered three Heirloom Roses in the bottom right hand corner. For the top portion of my tag, I foam squared an arrow in the top left hand corner as well as adhered two heirloom roses slightly above the arrow. To finish the top right hand side of the tag, I cut a small piece of Film strip ribbon and attached it with a staple using the handheld stapler. To add some extra interest to the film strip, I added a mirrored star to it. 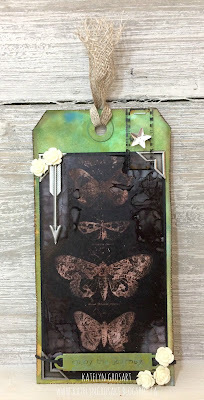 For the ribbon at the top of my tag, I used the linen ribbon and added some colour to it using Walnut Stain Distress Ink on my blending tool. I hope I've inspired you to start playing along with the 12 tags of 2016.